Edgar Perez is a 2018 graduate of the PHD Program in Leadership and Change at Antioch University. 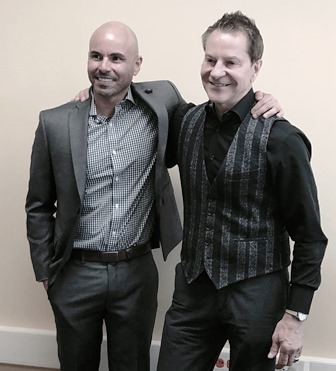 Dr. Edgar Perez, Ph.D.[left] at his Dissertation Defense with Dissertation Chair, Dr. Mitchell Kusy [right]. Eddie is passionate about developing ambidextrous practices in organizations. Over his 20-year career in the U.S. Army Special Forces, he witnessed firsthand the value of understanding complexity leadership and complex adaptive systems. As part of his dissertation journey, he and an Antioch colleague developed a model of resilience thinking for organizations to enhance their adaptive capacity and encourage ambidextrous strategic thinking during disruptions. 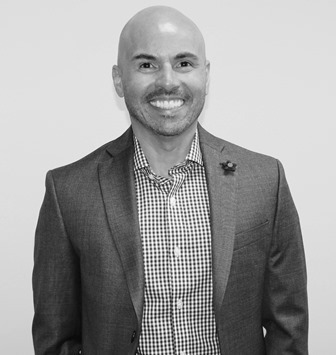 Eddie is the principal of Tierra Firma Consulting and works with organizations and leadership teams on how to mobilize ambidextrous strategies and bounce forward during episodic periods of disruption. Eddie earned a Ph.D. in Leadership and Organizational Change from Antioch University where his research involved developing a rapid assessment tool to assess the potential organizations possess to mobilize ambidextrous strategies during disruptions. Perez, Edgar, "Developing a Resilient Network Ambidexterity Scale" (2018). Dissertations & Theses. 414.